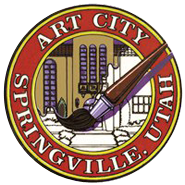 A free, online, “open source” resource brought to you by POPS (Professional Outreach Programs in the Schools) through the Springville Museum of Art and the Utah Museum of Fine Arts. The main purpose for this program is to provide you with access to images from our permanent collections that you can use to enhance your classroom teaching. Each month during the school year we will post images from our respective collections centered around a yearly theme. Each image will include a few prompts and limited information. How and when you choose to use the images or information in your classroom is completely up to you! You can use it as a journal prompt in language arts, to tie in a visual concept in math, to enhance a theme in science, to create an entire lesson plan from, and much more! The sky is the limit! USBE relicensure points are available for your participation. After you have used an image in your classroom teaching, add to the discussion by contributing a comment about how you used the artwork(s). Posts can range from simple paragraphs to a full lesson plan. This is a space to share your awesome ideas and to jointly develop curriculum—it’s only as big as you make it! This online resource is made available by the Professional Outreach Programs in the Schools (POPS) with funding from the Utah State Legislature through the Utah State Board of Education (USBE).